Frequent Questions About Massachusetts Car Accident Claims | Mahaney & Pappas, LLP What is Subrogation in a Massachusetts Car Accident Case? Let’s assume you were injured in a car accident in Massachusetts. You file a claim for Personal Injury Protection (PIP) benefits with your auto insurance company. The PIP insurance carrier pays $8,000 of your medical bills. You also file a bodily injury claim with the auto insurance company that insures the vehicle that crashed into you. You later settle your bodily injury claim. As part of the settlement, the $8,000 of PIP benefits that paid some of your medical bills are factored into the settlement. If the value of your personal injury claim is $20,000, the bodily injury insurance carrier will take an offset for the PIP benefits that were paid toward your medical bills. This is because part of the settlement is to compensate you for the medical bills you incurred as a result of the injuries caused by the other driver’s negligence. But, your auto insurance company already paid $8,000 of your medical bills. Therefore, the bodily injury company would reduce the value of your settlement by the $8,000 of PIP benefits paid. 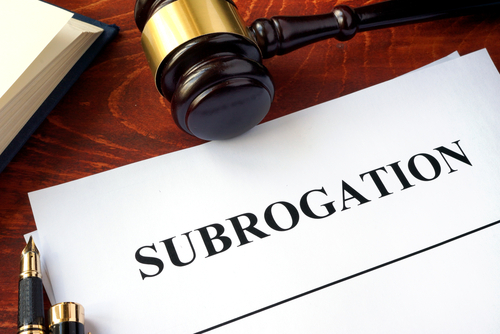 Your auto insurance company (the PIP carrier) would then pursue a subrogation claim against the other driver’s insurance company to recover the $8,000 of PIP benefits they paid. As you can see, personal injury law and insurance coverage can be legally complex. If you are uncertain about what your rights are or whether you are being treated fairly, you should speak with an experienced Massachusetts personal injury attorney. A lawyer that is familiar with insurance coverage and car accident cases can make sure that you are getting the fair compensation you deserve for your injuries and losses. Am I Entitled to Interest on my Personal Injury Award in Massachusetts? 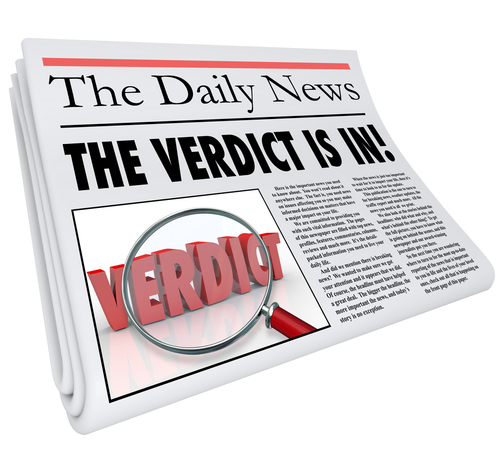 Yes, if a jury returns a verdict awarding you damages in your personal injury lawsuit against the defendant (the negligent party), the Court in Massachusetts will add interest to your jury award. For example, if you were injured in a car accident in Massachusetts caused by another person and you file a personal injury lawsuit against that other person seeking money damages, if the case proceeds to trial and a verdict is returned in your favor awarding you damages (or financial compensation), the Court will add 12% interest per year to your award starting from the date you filed the lawsuit. But, keep in mind, if you settle your personal injury claim before filing a lawsuit or after you file a personal injury lawsuit, you settle your case before trial, there will be no interest added to the settlement amount. If you have been injured in a motor vehicle accident in Massachusetts, you should consult with an experienced accident attorney to get the legal advice you need and an expert evaluation of your case. The Framingham personal injury attorneys at Mahaney & Pappas, LLP offer complimentary consultations where we will evaluate your case and provide you with a fair valuation of your accident claim. We offer contingent fee agreements on car accident cases, which means you don’t pay us anything unless and until we get you the money you deserve for your injuries. To speak with someone on our legal team or to schedule your free meeting, please call (508) 879-3500 or contact us online. After an Accident in Massachusetts, if I Use an Attorney, Will I Recover More Money? This is a topic that frequently comes up during casual conversations and something we are asked during initial case evaluations with potential clients. There is a lot of mixed information out there, especially if you are speaking with an insurance adjuster. Generally, hiring an experienced personal injury attorney after being seriously injured in an accident has been shown to result in larger settlements than without an attorney. This isn’t our opinion, but are the results from an in-depth study that was conducted. In 1999, the Insurance Research Council conducted a study that compared settlements of car accident cases for accident victims who hired lawyers with accident victims that represented themselves. The study established that people injured in accidents who hired a personal injury attorney recovered larger settlements than those without a lawyer. This study concluded that accident victims with a personal injury lawyer received 3.5 times more money in accident case settlements. So, applying these results, if someone was injured in an accident caused by someone else and settled his claim for $10,000, the study suggests that, with a personal injury attorney, he could have received $35,000 (3.5 times more). Insurance companies and their adjuster are well aware of this study. This is why, sometimes, adjusters may tell you that you don’t need a lawyer. We have been told by clients that some adjusters have even told them that hiring a lawyer may result in them receiving less money because attorney fees and expenses will be deducted from any settlement. In fact, we recently met with a woman who was injured in a car accident in Framingham, MA who said this is exactly what she was told by the insurance company. The study, however, has clearly shown that hiring an attorney will likely get you more money, even after deducting the lawyer’s fees. Therefore, if you have been seriously injured in a motor vehicle accident, you should consult with an experienced Massachusetts personal injury attorney. Find out what an experienced injury lawyer can do for you to help get the money you deserve for your injuries. If you have been injured in a motor vehicle accident in Massachusetts, you should at least consult with an experienced attorney and get the legal advice you need and an expert evaluation of your case. 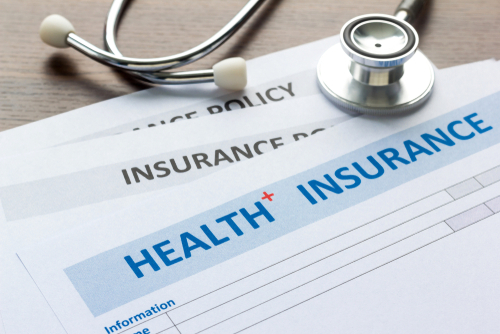 Do I have to reimburse my health insurance company if I settle my Massachusetts car accident case? If you were injured in a car accident in Massachusetts that was caused by someone else’s negligence, you have the legal right to seek financial compensation from the other driver’s auto insurance company. Your health insurance company probably paid some of your medical bills for treatment related to your injuries after the Personal Injury Protection (PIP) benefits have been exhausted. A lot of people don’t know that in a situation like this, your health insurance company may want to be repaid for the portion of the medical bills they covered for your treatment once your personal injury case is settled. 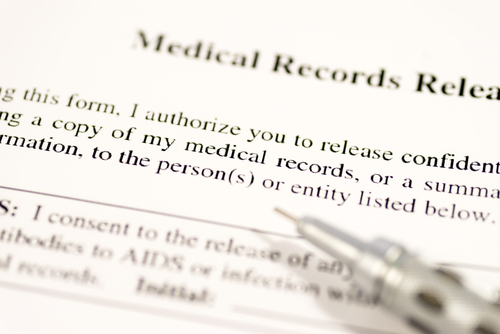 If you have MassHealth or Medicare, then they are entitled by law to be reimbursed. A private health insurer will either place a lien on your personal injury case or send you notice of their claim for reimbursement. I know what your thinking. If I pay for my health insurance, why do I need to repay them for medical treatment after a settlement. The rational for the health insurance company’s claim for reimbursement or lien is if another driver caused your injuries due to their negligent driving, then he or she (or their auto insurance company) is financially responsible to you for your medical bills, among other damages. So, if the other driver’s auto insurance company pays you a settlement, a portion of which is to compensate you for the medical bills you incurred as a result of the accident, then the health insurer wants to be repaid for the portion of the medical bills they paid on your behalf. So, the general answer to this question is Yes, you usually must reimburse your health insurance company for the portion of the medical bills they paid if you are compensated for those medical bills. Now, I say “portion” of the medical bills, because the health insurance company doesn’t usually pay the full medical bills. They typically pay a percentage of the bill after they apply an insurance adjustment. Thus, if a doctor’s appointment costs $250, the health insurer may only pay $100 of the $250 medical bill. In this case, you should be reimbursed for the full medical bill of $250 from the negligent party, but will only need to repay your health insurer the $100. The balance of $150 left over is for you. Also, don’t forget, most health insurance liens can be negotiated down. This is where an experienced Massachusetts personal injury attorney comes in. An experienced accident lawyer will know how to get your health insurance lien or repayment amount reduced. This will, in turn, result in more money for you from your settlement. If you were injured in an accident caused by someone else, and your health insurance company paid some of your medical bills, you should discuss your case with an experienced attorney in order to understand and protect your rights. Having an experienced attorney evaluate your accident case, may result in you collecting more money from any possible settlement. Mahaney & Pappas, LLP has well over 40 years of combined experience helping accident victims get the compensation they deserve. If you have questions about an accident case, feel free to contact us online or call us at (508) 879-3500. We are happy to evaluate your case, answer your questions and explain how you can secure the financial compensation you deserve. What is Underinsured Motor Vehicle Coverage in Massachusetts? Most people don’t fully understand what car insurance coverage they truly have until they are injured in a motor vehicle accident. Sure, a lot of people have a basic understanding that their auto insurance coverage will be available if they injure someone in an accident. But, what about if you are seriously injured in a motor vehicle accident that was caused by someone else? 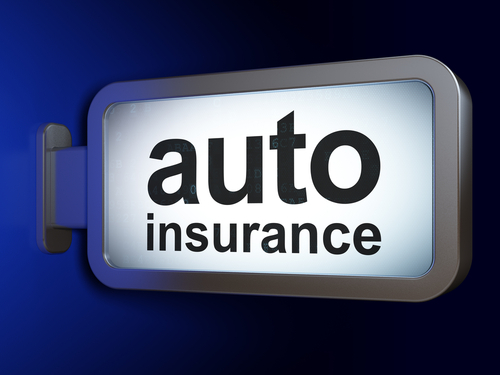 With so many different coverage options available, motor vehicle insurance can be complicated. One, often overlooked and not fully understood type of coverage is Underinsured Motorist Coverage (or UIM for short). UIM is insurance coverage that everyone should seriously consider when purchasing auto insurance in order to protect themselves and their family. Everyone who registers a motor vehicle in Massachusetts must have specific kinds of insurance coverage at an absolute minimum amount. These mandatory types of insurance coverages are known as compulsory coverage. Additionally, there are specific kinds of insurance coverage that are optional for motor vehicles in Massachusetts. One of which is Underinsured Motor Vehicle (UIM) coverage. While UIM coverage is not mandatory, it is highly recommended that everyone review their auto insurance policy to review if they have UIM coverage and, if so, how much coverage they have. Underinsured motor vehicle (UIM) coverage provides additional insurance coverage for compensation of personal injuries and death from a motor vehicle accident caused by someone else's negligence and the available bodily injury insurance is insufficient to satisfy the value of the claim. UIM coverage is available for you, a member of your household or anyone riding in your vehicle at the time of the crash. Let’s look at an example: A woman was injured in a car accident in Natick, MA. The crash was caused by someone else’s negligence, but they only had the minimum amount of bodily injury coverage of $20,000 per person /$40,000 per accident. The approximate value of her personal injury claim, however, is $45,000. This means that the person who caused the car crash was “underinsured” and didn’t have enough coverage to compensate the injured woman. Fortunately, she has UIM coverage of $50,000 per person /$100,000 per accident. This means that if her case is worth $45,000, she should be able to obtain the $20,000 from the other driver’s insurance company and have an additional $30,000 ($50,000 of UIM minus the $20,000 BI coverage*) of UIM coverage available from her own auto insurance company to fully compensate her for her injuries and losses. Therefore, if her case is worth $45,000, she should receive $20,000 from the other driver’s insurance company and an additional $25,000 from her own insurance company. * The amount of UIM coverage available is the total UIM coverage minus the total amount of bodily injury coverage from the at-fault party’s car insurance. In the example above it would be the $50,000 UIM coverage less the $20,000 BI insurance coverage, which calculates to $30,000 of available UIM coverage. As you can see, auto insurance law can be complex. This is why anyone injured in a motor vehicle accident should speak with an experienced Massachusetts personal injury lawyer. An experienced attorney will be able to determine the value of your accident case, how much insurance coverage is available to compensate you for your injuries and what insurance companies are responsible to pay you the compensation you deserve. If you, or someone you know, have been injured in a motor vehicle accident caused by a negligent driver, speak with an experienced accident attorney in Massachusetts today. The world of auto insurance can be complex. 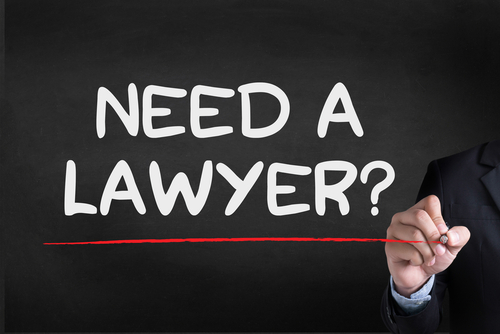 An experienced lawyer can help make sure you get what you deserve for your injuries. Call Mahaney & Pappas, LLP at (508) 879-3500 or contact us online to schedule your free, no-obligation meeting and case evaluation. After my Massachusetts Accident Case is Settled, When Will I Get my Money? This is probably one question that we are asked on every personal injury case. It is a great question and clients should know when to expect the money from their settlement. 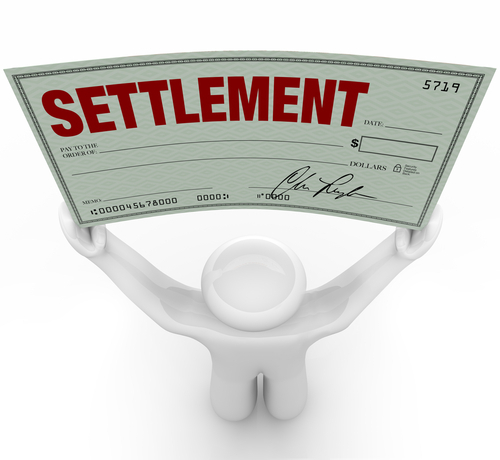 Generally, you should receive your settlement proceeds within approximately thirty (30) days. In some cases, it may be sooner and others, it may be longer. 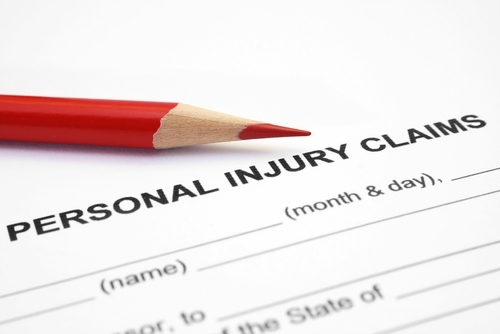 It really depends on several factors specific to each personal injury case. Example 1: A woman was rear-ended and injured in Framingham, MA by a truck. She hired an attorney and filed a personal injury claim in Massachusetts. This woman had MassHealth for health insurance and her total medical bills were $7,500. When someone injured in a car accident in Massachusetts has MassHealth for health insurance, the Personal Injury Protection (PIP) benefits from the auto insurance company that insures the vehicle she occupied at the time of the accident will pay the first $8,000 in related medical bills. So, in this example, PIP should have paid the $7,500 in medical bills, which means there are no outstanding medical bills and no liens from MassHealth or any other medical providers. 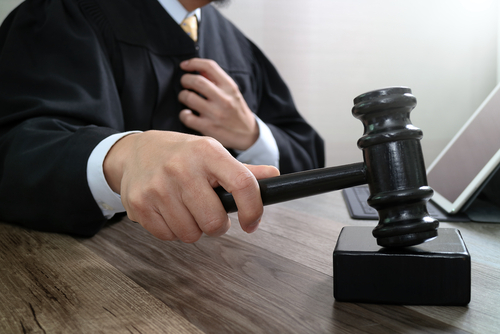 Therefore, once her case is settled, the at-fault party’s auto insurance company will most likely issue the settlement check within a week or two after the settlement. The client will then receive her settlement proceeds (i.e., the gross settlement less the attorney’s fees and expenses) within a few days of her lawyer receiving the settlement check from the insurance company. Example 2: A man was seriously injured in a car accident in Marlborough, MA. He suffered a broken leg and a lower back injury. He hired a personal injury lawyer and filed an injury claim against the other driver, who caused the accident. After he completed his treatment and reached a maximum medical improvement, all of his medical bills were obtained. His medical bills totaled $30,000. He has Medicare for health insurance. Just like with MassHealth, PIP will pay the first $8,000 of medical bills for treatment related to the accident for Medicare recipients injured in a car accident in Massachusetts. The remaining medical bills were submitted and paid by Medicare. His case was eventually settled. Once the case is settled, the settlement amount and other information must be provided to Medicare, so they can calculate the total amount of the Medicare lien. This typically takes a while. After the case is settled, the at-fault party’s auto insurance company will usually not issue the settlement check until the Medicare lien is determined. Therefore, he will not receive his check as quickly as the woman in Example 1 above. Generally, in this type of situation, the settlement should be finalized in a month or two. As you can see, there are many different factors that will determine how soon someone will receive their settlement proceeds. Some other factors would include outstanding medical bills, health insurer liens, or if the accident case is part of a workers’ compensation claim, which would result in a workers’ compensation lien. No matter what the situation or circumstances are, you should speak with your personal injury attorney about when the settlement check should be ready. An experienced Massachusetts personal injury lawyer will be able to explain to you when you should receive your money. If you, or someone you know, have been injured in a motor vehicle accident caused by a negligent driver, speak with an experienced accident attorney in Massachusetts today. How do I Know if I Have a Personal Injury Case from my Car Accident? Some people who are in a car accident are not sure whether they have a personal injury case or not. There are a number of things that must be examined, but the list below is a good start to determining whether you have a personal injury case or not. A personal injury case from a car accident is a bodily injury claim for the injuries and losses you suffered in the crash. In the case or claim you will be seeking financial compensation for the injuries and damages you suffered as a result fo the crash. You have incurred reasonable and necessary medical expenses in excess of $2,000 or the accident causes death, loss of a body member, results in permanent or serious disfigurement, or results in loss of sight or hearing. There are other matters that must be considered, such as whether the other driver’s auto insurance policy applies to the accident. Each case is different and must be evaluated based upon the specific facts and circumstances of each accident. The best way to be certain that you have a personal injury case from a car accident is to speak with an experienced car accident attorney. If you, or someone you know, have been injured in a motor vehicle accident and you are not sure whether you have a personal injury claim or not, speak with an experienced injury attorney. Mahaney & Pappas, LLP specializes in personal injury law, including bodily injury claims from car accidents. We have represented numerous people hurt in accidents all over Massachusetts and have the experience and qualifications to help you. Call us at (508) 879-3500 or contact us online to schedule your free, no-obligation meeting and case evaluation. At our meeting we will explain your legal rights and options, evaluate your case and answer all of your questions. ?Am I Entitled to Interest on my Personal Injury Award in Massachusetts? ?After an Accident in Massachusetts, if I Use an Attorney, Will I Recover More Money?